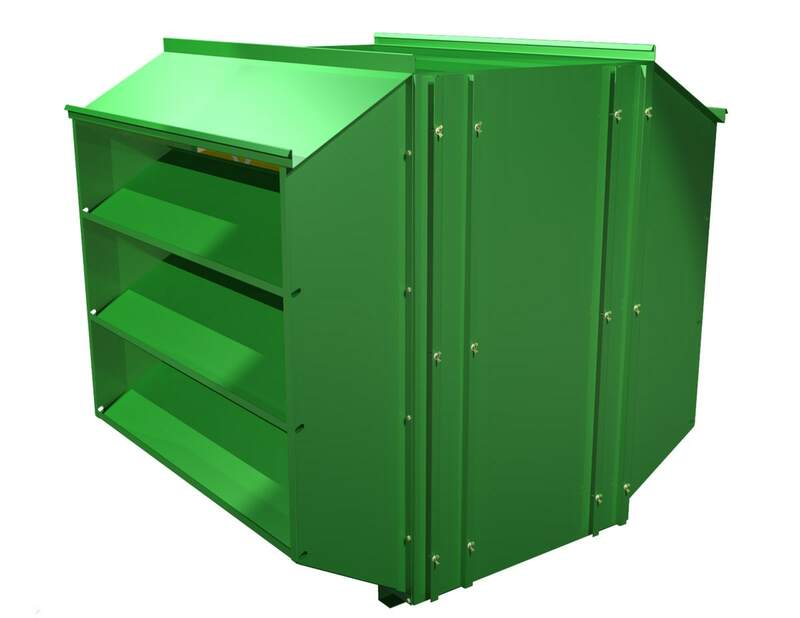 Industrial Products - VAW Systems Ltd.
VAW Systems is the industry leading designer and manufacturer of industrial noise control products. 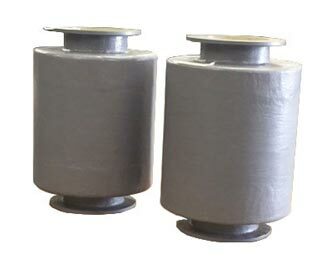 Our energy efficient fan silencers are aerodynamically designed to be directly mounted to any fan. 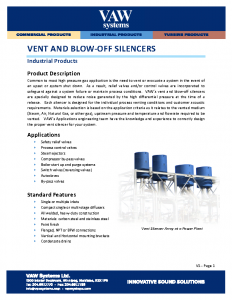 VAW Systems silencers are optimized to deliver high levels of attenuation (insertion loss) with minimal pressure drop and adverse fan system interactions. 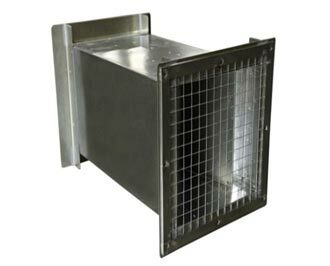 Filter boxes, hoods and other duct fittings are matched to the silencer in order to meet your system performance requirements. 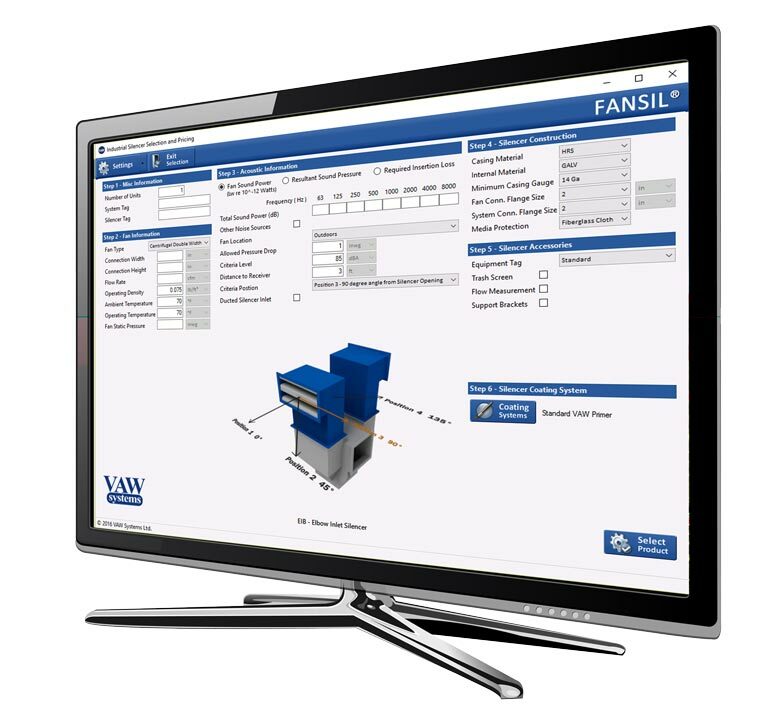 The direct benefits of the VAW Systems – Systems Approach includes space and weight reductions, significantly reduced operating costs for the facility owner, and an enhanced overall system design for Engineers. 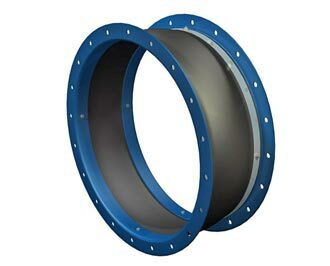 Since our silencers are integrated into the mechanical system design, the reduction or elimination of duct transitions and other fittings often results in a near equivalent total up-front cost. 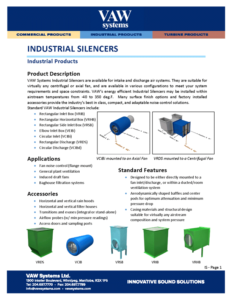 VAW Systems Industrial Silencers are available for intake and discharge air systems. 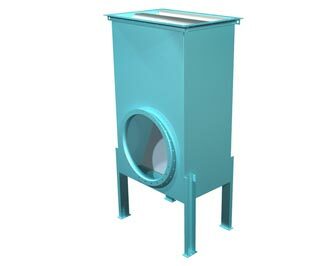 They are suitable for virtually any centrifugal or axial fan, and are available in various configurations to meet your system requirements and space constraints. 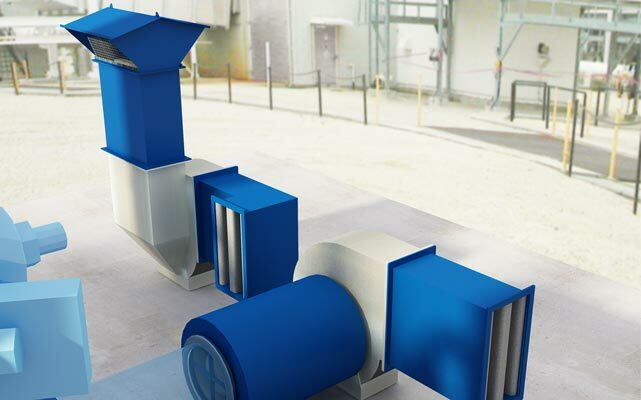 With many finish options and factory installed accessories, these are the industry’s best in class, compact and adaptable noise control solutions. 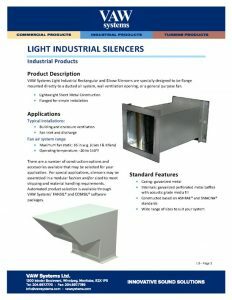 VAW Systems Light Industrial Silencers are specially designed to be flange mounted directly to a ducted ventilation system or a general purpose fan. 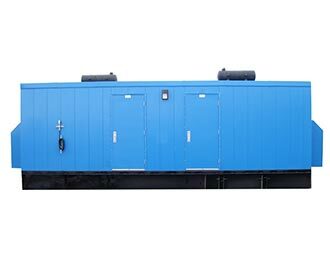 The space and weight savings construction features sheet metal construction and flanges for simple installation to a fan or building ventilation opening. 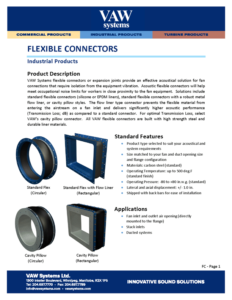 As a single source for your noise control installation, VAW Systems provides fully integrated flexible connectors or expansion joints./ / VAW Systems connectors provide an effective acoustical solution for fan connections that require isolation from equipment vibration and/or worker noise level reductions. 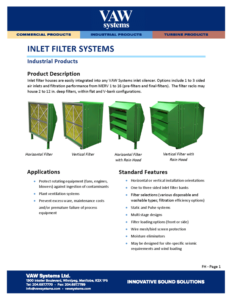 Inlet filter houses are easily integrated into any VAW Systems inlet silencer. 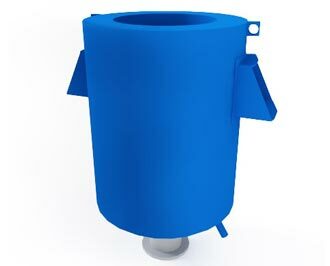 Options include 1 to 3 sided air inlets and filtration performance from MERV 1 to 16 (pre-filters and final-filters). The support racks may house 2 to 12 in. deep filters, within flat and V-bank configurations. 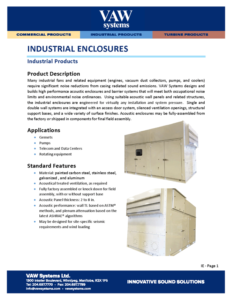 VAW Systems designs and builds high performance acoustic enclosures and barrier systems that will meet both occupational and environmental noise ordinances by reducing casing radiated sound emissions. Single and double wall systems are integrated with an access door system, silenced ventilation opening(s), structural support bases and a wide variety of surface finishes. 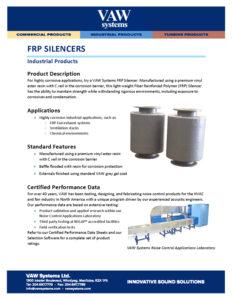 For highly corrosive applications, try a VAW Systems FRP Silencers. This light-weight yet strong product is manufactured using a premium vinyl ester resin with C veil in the corrosion barrier to withstand rigorous environments, including exposure to corrosives and condensation.